San Francisco is known for nature, museums, parks, nightlife, and shopping. 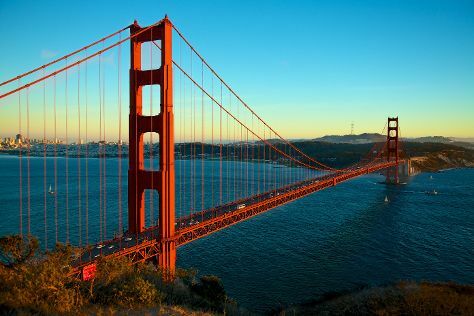 Your plan includes some of its best attractions: take in the views from Golden Gate Bridge, explore the wealth of natural beauty at Alcatraz Island, wander the streets of Union Square, and take a memorable ride with Cable Cars. For where to stay, reviews, traveler tips, and other tourist information, read San Francisco itinerary planner. If you are flying in from Ireland, the closest major airports are San Francisco International Airport, Metropolitan Oakland International Airport and Norman Y. Mineta San Jose International Airport. Expect a daytime high around 17°C in December, and nighttime lows around 8°C. On the 10th (Mon), you'll travel back home.